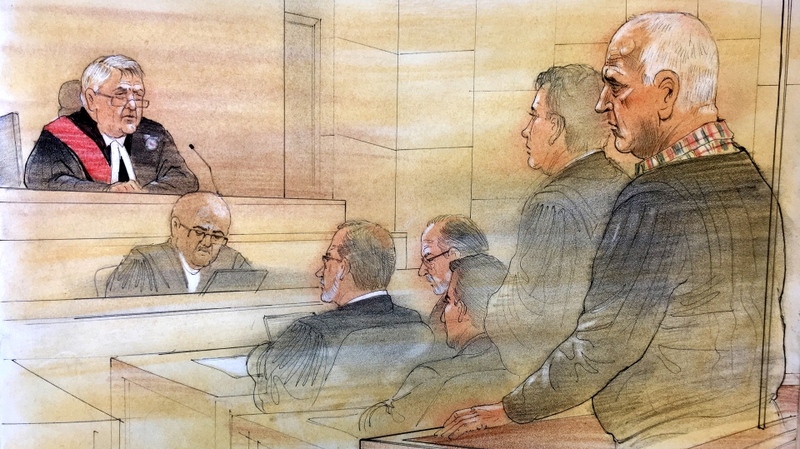 Senior police officials, including Chief Mark Saunders, said they are satisfied with Bruce McArthur’s sentence Friday as they continued to field questions about why it took so long for the man who killed eight men over seven years to be stopped. Bruce McArthur, 67, pleaded guilty to eight counts of first-degree murder last week and was sentenced to life in prison with no eligibility to apply for parole for 25 years on Friday. The Crown requested that the judge sentence McArthur, a landscaper and former mall Santa Claus, to a 50-year parole ineligibility period due to the heinous nature of his crimes, but his request was ultimately denied. McArthur murdered Skandaraj Navaratnam, Abdulbasir Faizi, Majeed Kayhan, Soroush Mahmudi, Kirushna Kanagaratnam, Dean Lisowick, Selim Esen and Andrew Kinsman between Sept. 2010 and June, 2017. Investigators found that most of the victims were likely strangled to death, and that McArthur “staged” their bodies in various poses and took photographs. Saunders echoed Idsinga’s statement but said no length of sentence would be enough for some. 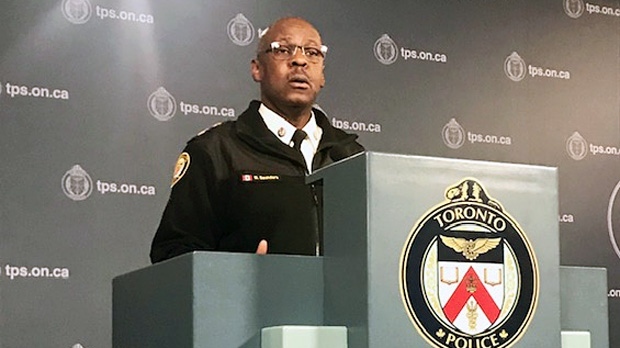 But questions continued to dog Saunders over his statement on Dec. 8, 2017, where he said that, to his knowledge, there was no evidence to suggest a serial killer was operating in Toronto’s Gay Village. Court documents released earlier this year show that tracking orders for phones and vehicles associated with the McArthur investigation were issued as early as September 2017 and that a general warrant for McArthur’s apartment was granted on Dec. 4. Investigators covertly entered McArthur’s apartment and copied the contents of his computer and other devices the day before Saunders addressed the suggestion of a lurking serial killer, according to the agreed statement of facts in the case. Speaking Friday afternoon, Saunders said at the moment he spoke about there being no evidence to suggest a serial killer was in their midst, he was only aware of evidence that implicated McArthur in one homicide, that of Andrew Kinsman, his final victim. “We had evidence for one – for one homicide – not for a multitude,” Saunders said. He then referred to his own time as a homicide detective, saying there are always “redo moments” that come up in murder investigations with the benefit of hindsight. But Saunders noted that what he says in public “has to be solid” so as to not impact ongoing investigations and court proceedings. Police said that from Aug. 2017, when McArthur was first named as person of interest, to the months after when he was put under surveillance, they worked to ensure he would not kill again. “We put people and resources in place to mitigate the risk (to public safety),” Det. David Dickinson said. On the day McArthur was arrested, Jan. 18, 2018, police surveilling McArthur saw a man, identified in the agreed statement of facts as “John,” meet up with McArthur and enter his apartment. Fearing John would become McArthur’s ninth victim, three officers, including Dickinson, went up to his apartment and arrested him when he opened the door. In McArthur’s bedroom, they found John naked and handcuffed to the bed. “John” is a closeted gay man who is married and investigators say he will never be identified publicly.